If you look closely, around you, you will be amused by what all are nothing but wonderful painting ideas and inspirations. 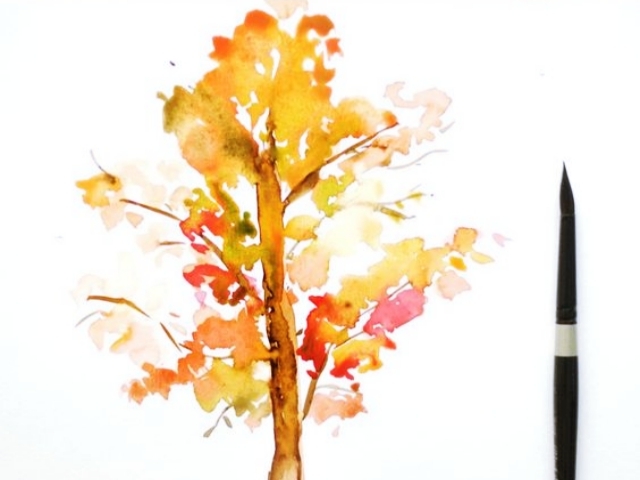 Everything’ an art, nature’s an art and everything can be brought out on a sheet of paper with the help of watercolours. 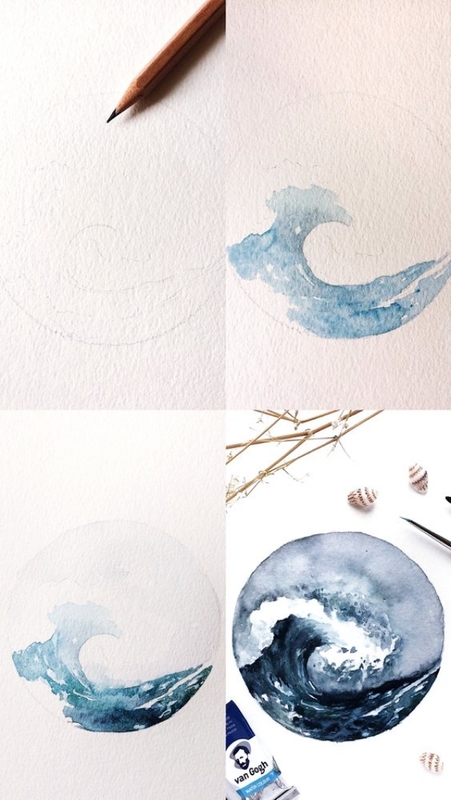 Abstract or not, aesthetic or not, watercolours have some kind of serenity within. 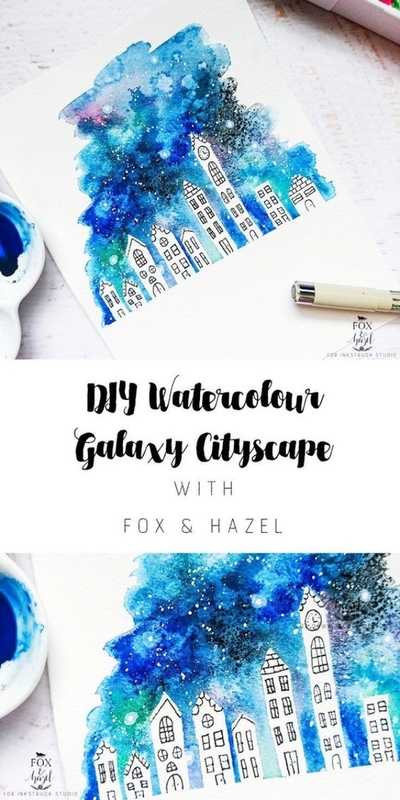 If you are a beginner in this wonderful field of painting, worry not for inspirations; we have collected some amazing Step by Step Watercolour Painting Tutorials for Beginners. Start with the colours you’ll need. 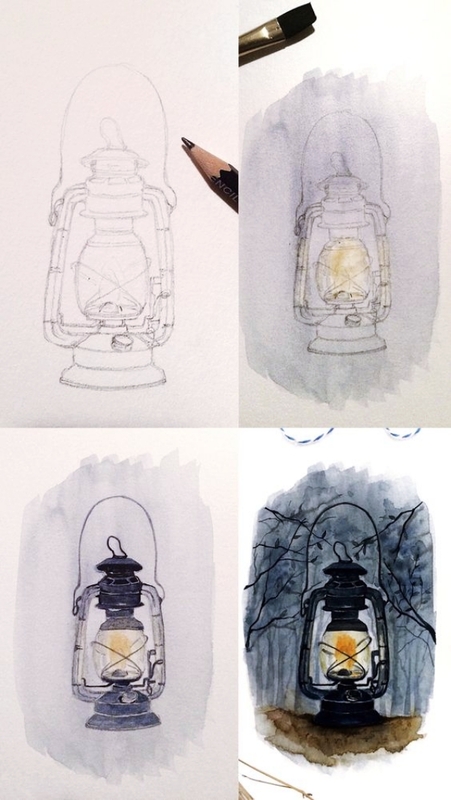 Figuring out what colours you need for the painting is the first and the foremost thing. Also, keep them appropriately mixed and sorted. Spray bottles- In case you want to spray paint certain parts of the painting? Paint shield the painting once it’s all done- This is optional but you’ll want to safeguard the painting. Keep your mind afresh and off any idea. 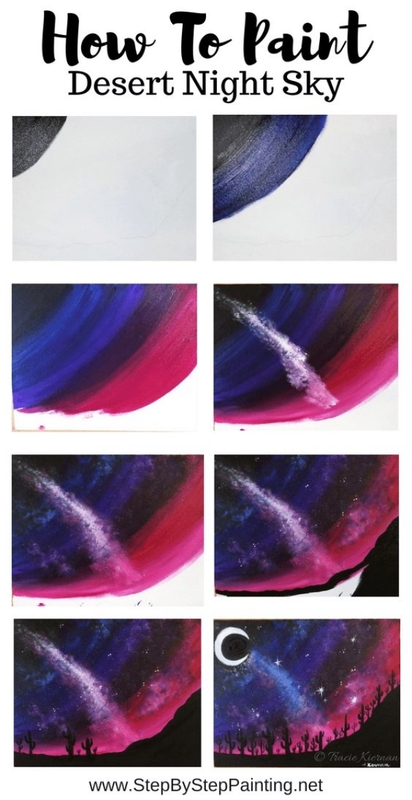 Abstracts are not supposed to be planned out properly. they just flow out of the colours in the sheets. Take one colour that you adore way too much and throw sass around that colour. Which means, let it be random on the sheet of paper you have chosen. When many random shapes get together on the sheet, with colourful arena; it will give you one beautiful abstract. Sadness needn’t require a proper shape or a form, it is an emotion that needs one single colour – Grey. 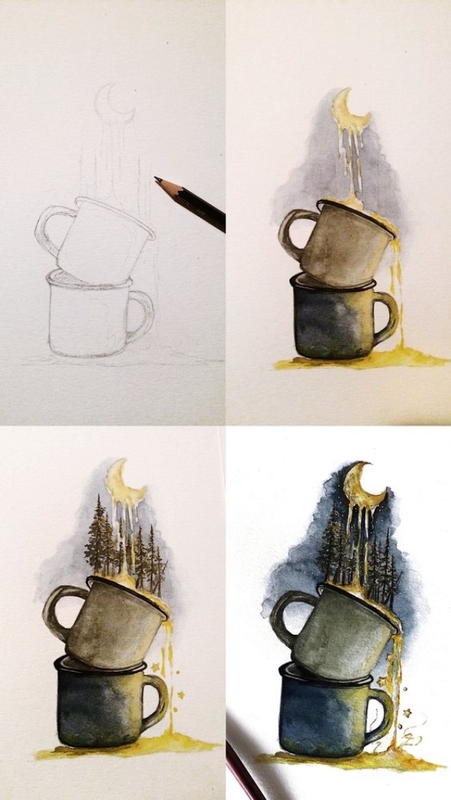 For the painting, choose a mood and not an object or a scenery. 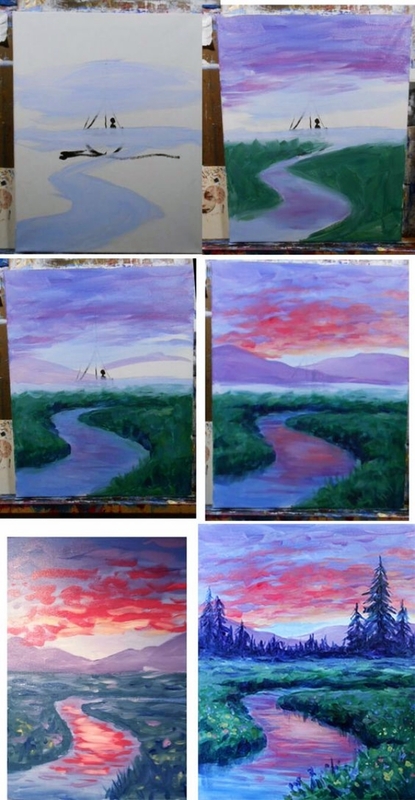 Yeah, you can go on and paint some night’s calm cityscape. This time, don’t be random with the grey colour but be specific. A ruined flower or a torn heart or anything that depicts broken emotions can be taken out. Now, no need for borders or anything; but just sadness dripping down whatever you choose it to be. For example – A flower that has died down. 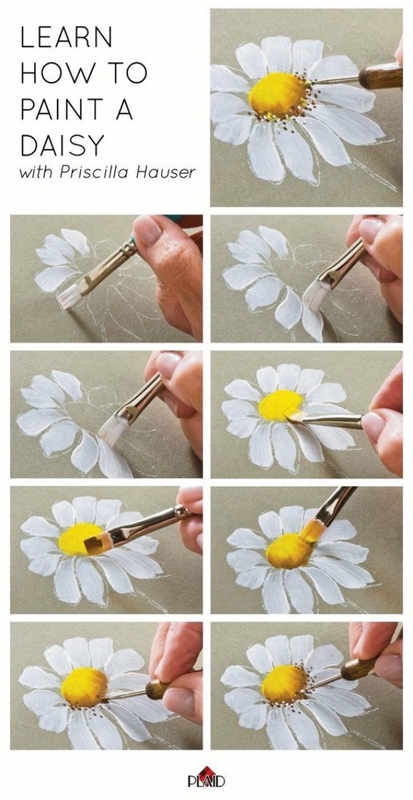 Now, the grey colour; somewhere lighter than the rest and somewhere darker, should only drip down the shape but not exactly outline a flower. It’s okay to not be precise. 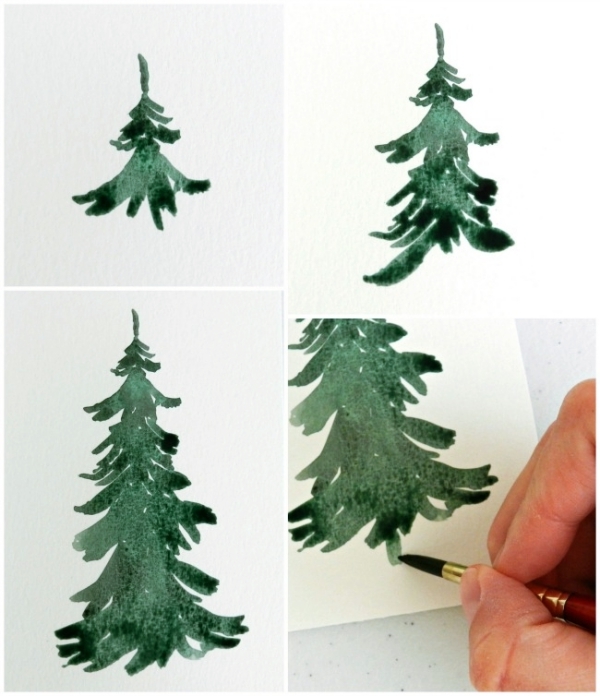 Figure out what you want to paint, and outline it lightly with a pencil on the sheet of paper. After having done the outlining part, decide colours you wish to see and mix them appropriately on the palette. Give the paint shield too to the paper, in case the paint decides to go off after a certain time. 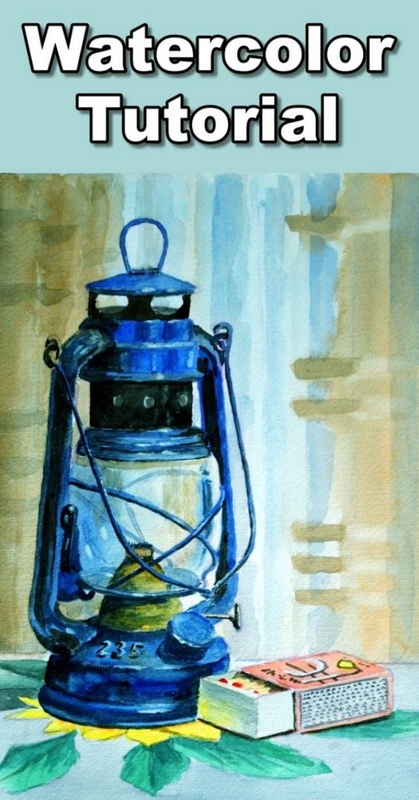 Watercolours are fun, to begin with, and have a lot of meaning beneath the paints too. You can try out any of the above to begin or as a starter to even more proclaimed masterpieces like these animal paintings that are on the way to happening. 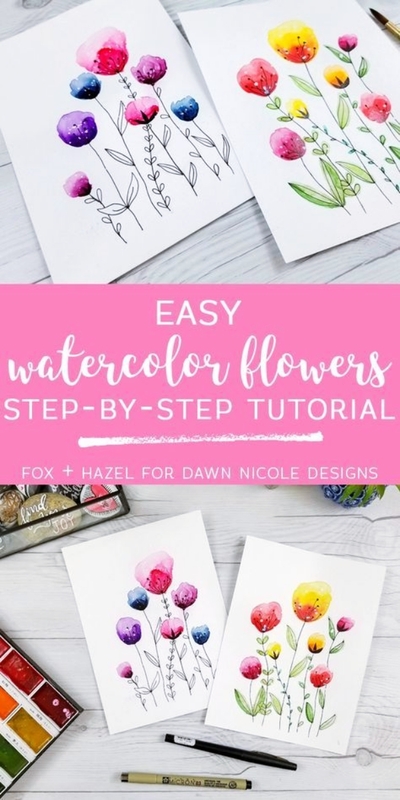 Make sure that the watercolours you use are of the best quality to ensure the enhanced paintings you plan on and practice these easy-peasy Step by Step Watercolour Painting Tutorials for Beginners.